Genting Singapore will likely have volatile earnings over the next 10 years as a gaming tax rise, an entry levy increase, a GST increase and capital expenditure for the Resorts World Sentosa expansion all kick in at different times, Nomura said in a note on Friday. The investment bank cut its fiscal 2019-20 earnings before interest, tax, depreciation and amortization forecasts by 4 percent each and its net income forecasts by 6-7 percent, in part due to lower gaming volume forecasts due to the increase in the entry levy for Singapore citizens and permanent residents. 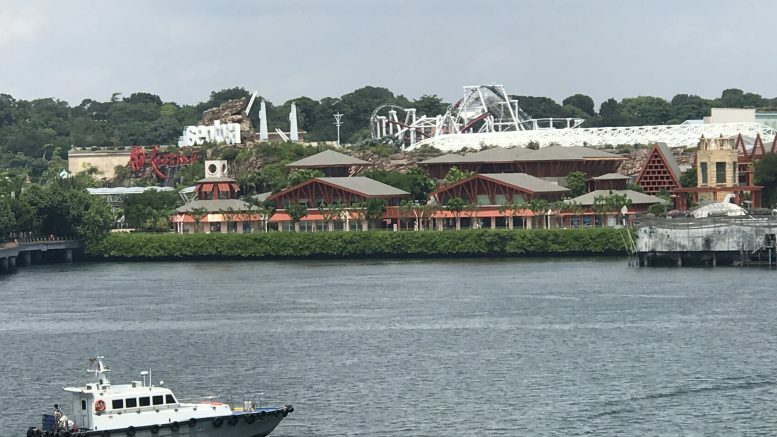 Earlier this month, Genting Singapore said it has committed to investing around S$4.5 billion to revamp and expand its Resorts World at Sentosa integrated resort on Singapore’s Sentosa Island, including growing the Universal Studios Singapore park. As part of the deal with the Singapore government for the expansion, the exclusivity period for the city-state’s two casino-resorts was extended to 2030; the casino entry levies were also raised by 50 percent each to S$150 for a day and S$3,000 for an annual pass. The gaming tax will rise in 2022, likely by around 3 percentage points, and the GST rate will rise by 2 percentage points by 2025, Nomura noted. But Nomura said that while it will likely reduce overall earnings before interest, tax, depreciation and amortization (EBITDA) margins, it still compared favorably with Malaysia’s recent 10 percentage point tax increase, helping to keep Singapore’s casinos competitive. The investment bank also said the S$4.5 billion capex figure was higher than its expectation of around S$1.5 billion to S$2 billion, which will likely hurt free cash flow for the next four to five years, and by extension, will likely cap dividends at 3.5 Singapore cents a year in the near term. Nomura lowered its target price to S$1.27 from S$1.39, after switching methodology due to the expected earnings volatility. But it kept a Buy call. “In the near term, we are positive on the prospect of continued VIP volume growth through loosening credit policy and additional third-party hotel room capacity at Sentosa island,” Nomura said. “In the medium term, once the capex cycle is over, we expect the resort expansion to boost visitation and earnings, along with the possibility of positive free cash flow either supporting a higher dividend or a Japan casino bid (in case GENS is a winner),” it added.